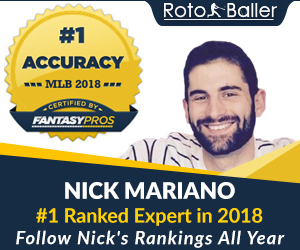 We are provided a three-game main slate for DraftKings and FanDuel on Wednesday night You should be looking at teams in the higher over-under games. Remember, when picking around for plays, an over/under of 6 dictates offense, but an over/under of 5 or sometimes 5.5 tilts towards the goalies. Watch to see what the Colorado and Calgary game ends up at -- it could go to 6 1/2. 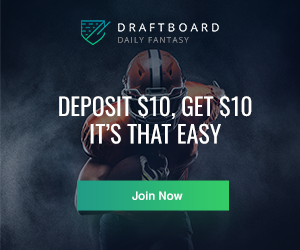 In this article, I will be providing you with my daily fantasy hockey lineup picks for DraftKings and FanDuel on 4/17/19. The lineup picks will range from some of the elite players to mid-priced options and value plays. 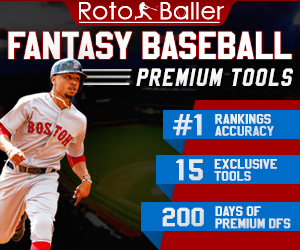 If you have any questions or comments, feel free to hit me up on Twitter @ChrisWasselDFS. Let's get to it, shall we? Seguin leaped back into fantasy relevance on Monday night with 11 shots on net and 15+ shots attempted. The optimum top line of Seguin, Jamie Benn, and Alexander Radulov were reunited and the results showed. Expect that line to be mixed in but when they are together, Dallas generates nearly 60% of the scoring chances from that line alone. Nashville had few answers as passes into the slot were completed at will against the Nashville defense. Two points could have easily been four, maybe five points for the Dallas center on Monday night. As for Wednesday, Seguin will be dangerous in all situations and heavily relied upon (could play 22+ minutes). Rantanen was a bit rusty in his first game back but looked great in Game 3 versus Calgary on Saturday. That gives him eight shots, four points, and the advice would be to keep playing the players who generate the most in scoring chances -- even if they are higher-danger opportunities. The key for Colorado is to keep getting the depth involved. That helps Rantanen and the top line look even faster. Calgary over the last two games was giving up nearly 15 high-danger chances to Colorado's top line. That is a good omen for game number four if this keeps up. Calgary allowing ten goals in their last two games is no surprise. This was something the Flames did often in spurts all season. 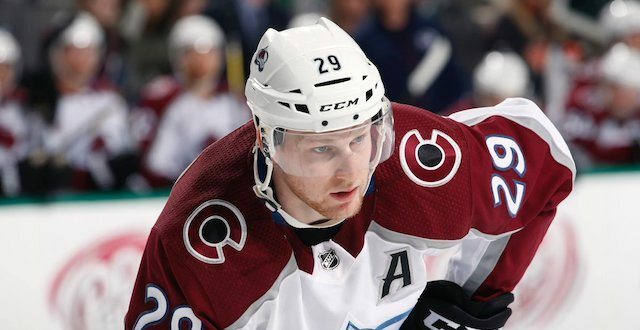 Nathan MacKinnon with Rantanen and Cale Makar could be a good stack possibility. The Toronto Maple Leafs defenseman is in a nice spot on Wednesday night after a quick assist and six shots on net during Game 3. Rielly now has ten shots and six scoring chances in the past couple games. Boston has had some troubles covering Rielly, especially at even strength. He has found space unexpectedly. On the power play, the Toronto defenseman looked good in Game 3 as his shot was low and mostly accurate. Barrie is a good play and that is mostly because of Calgary. Why? The Flames allowed so many chances from the points during Game 3. This caused rebounds and rebounds galore to occur. This resulted in an assist, six shots, and four scoring chances for Barrie. The defenseman is playing like how Mark Giordano did in Game 1 -- with much confidence and skating with his head up making plays. Grubauer played well in Game 3 stopping 27 of 29 shots in a 6-2 win. Late saves and scoring effects never hurt. The Colorado goaltender is 7-1-2 in his last ten starts now with a 2.04 goals-against average and .942 save percentage. Eight of those ten starts have seen Grubauer face over 30 shots and in several cases -- 40+ shots. When looking at consistency and shot volume. Grubauer becomes one of the best plays on Wednesday night. Some other options may include Pekka Rinne and Frederik Andersen for GPP purposes. Rinne carries a lower price on DraftKings but is $9,000 on FanDuel so keep that in mind.